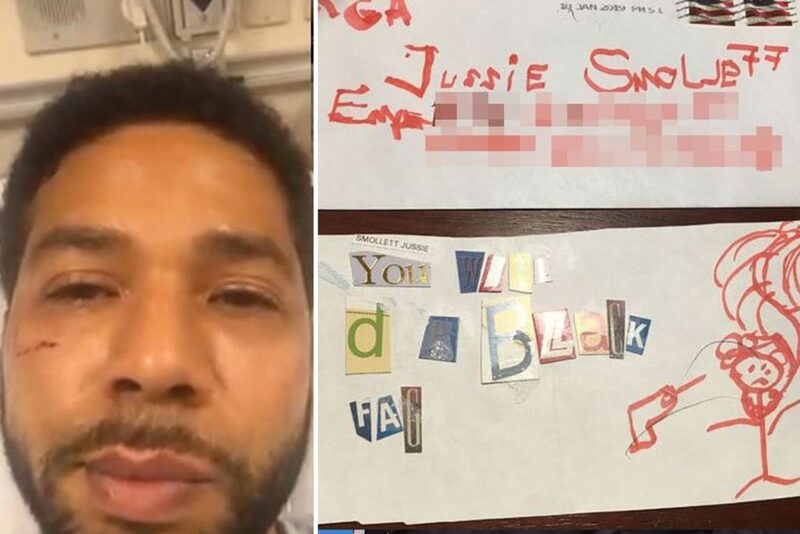 It’s time for the Chicago Police Department to stop wasting taxpayer resources investigating what is obviously a fabricated hate crime and charge Jussie Smollett with making a false statement to police. News of the attack immediately went viral, and celebrities worldwide used the incident to denounce what they described as growing intolerance of minorities. But as people clamored for more information, Smollett started clamming up. The Chicago Police Department opened an investigation, with an assist from the FBI, only to find the actor extremely uncooperative. What evidence they did turn up only served to undermine Smollett’s story. During a performance at Chicago’s Troubadour Theater days after the attack, Smollett read a prepared statement acknowledging parts of his original story were untrue. Smollett admitted his ribs were not actually broken and that he never went to the hospital. Investigators have also failed to locate any evidence corroborating Smollett’s claims. Security footage reviewed by the Chicago Police Department show a gap where the actor was walking, disappeared from camera, and returned one minute later with a noose around his neck. For an attack as brutal as Smollett described, this is a very small time window for so much to have occurred. "We are very appreciative of the victim's cooperation however the records provided do not meet the burden for a criminal investigation," a Chicago police spokesman told ABC 7 Chicago. Smollett’s manager, Brandon Moore, has likewise refused to turn his phone over to police. The Post also reports that it located a hot sauce bottle near where Smollett says the attack occurred, and that its contents smelled of bleach. The Post turned it over to the Chicago PD, which said it’s being investigated. If this is indeed the bottle that was used, shouldn’t Smollett have immediately recognized it upon showing investigators where he said the attack occurred? Since this supposed attack, Smollett’s behavior has been the exact opposite of what one would expect from an extremely vocal left-wing activist who just fell victim to a vicious hate crime. Rather than giving regular interviews and demanding justice, he’s gone into relative hiding. In fact, he’s since hired a PR crisis firm, Sunshine Sachs, that put out a statement on his behalf. "Jussie is the victim here, which has been stated by the Superintendent of Police,” the statement reads. “Jussie has voluntarily provided his phone records from within an hour of the attack and given multiple statements to police." If Chicago’s police continue to pretend like they have every reason to believe Smollett — despite evidence showing he hasn’t told the truth, and even acknowledging as such himself — they will only encourage others to file similar false claims, wasting police resources in a city that can hardly afford it. It’s time for police to finally recognize the evidence before them and press charges.